Oversized grommets and wicked-strong handles ensure this bag will be your bring-along for seasons to come. Imported. 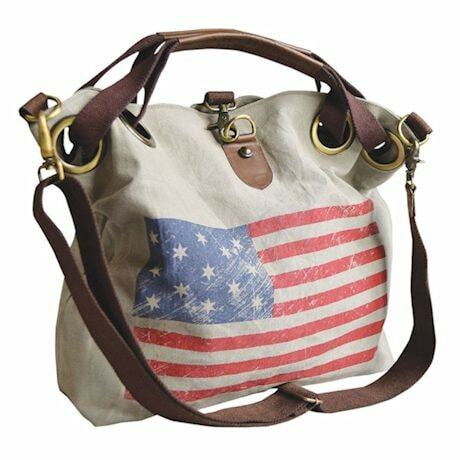 Recycled all-cotton canvas with leather and nylon handles; removable crossbody strap. Inside 100% cotton lining with one zip pocket. 17" x 5" x 15".